How to make pear preserves is one of the questions asked by a person who have tasted a delicious and yummy pear preserve. 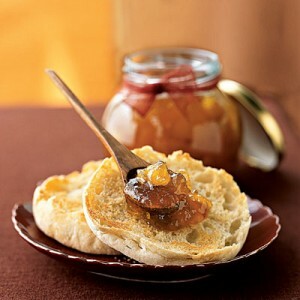 Strawberry jam or grape jelly is tasty and delicious but pear preserves has a unique delicious taste that you will love. If you want to have a change in your morning toast, try to know how to make pear preserves. Pear fruit contain antioxidants and has no fat, which is rich in vitamins A, vitamins B1, vitamins B2, vitamin C, niacin and other minerals such as calcium, phosphorus, iron and potassium. There are two popular types of pears, the bell shaped European pears and the apple crisp Asian pears. During late summer and fall, pears are in their best quality. Pears soften at once when left at room temperature, so refrigerate them especially when they are ripe. Unripe pears can be just left in a cool dry place until it ripens. Some add commercial acid to prevent it also from discoloration. Gather all ingredients. You will need 5 lbs of pears and 5 lbs of sugar. Wash, peel, core and slice your pears to desired size. Put your sliced pears in a large cooking pot. Pour in the sugar on top of your sliced pears. Mix them slightly. Allow mixture to rest overnight. Boil the pear mixture until it reaches its boiling point and turn down heat to medium. Wait till the pears turn light golden brown and the syrup thickens. Stir mixture as often. When the pears has its translucent appearance, immediately turn down the heat for it is done. 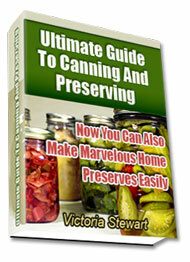 Place pear preserve in a sterilized jar and seal them for longer shelf life. There are ways you can do with your pear preserves; it can be an additional ingredient to give more flavour in your food or can be added to foods like cakes. Homemade pear preserves are much healthier than jellies bought in a supermarket, that’s why it is best tried with crackers, on toast and on pancakes too. Go now and collect your best pears at home and make a delicious and healthy pear preserves, for now you know how to make pear preserves for your family and friends.